A student from Broadmeadows Primary School. Australia is abuzz with local tech start-ups. Following the lead from Atlassian, an Australian software company that rose from bootstrap funding to global exposure, is a growing community of exciting tech start-ups that bleed green and gold. Local investment is rallying behind the tech start-up community, with a growing investment appetite from Australian Angel investors and Venture Capital firms. Accelerators like Telstra’s muru-D and the ANZ Innovyz Start are supporting entrepreneurs to develop their technology businesses for scale; Venture Capital firms like M.H. Carnegie & Co. and Blackbird Ventures are investing in their growth to reach global markets. This investment is critical to the innovation and enterprise of the Australian economy. Emerging from this tech start-up community are some exciting education technology start-ups. Since 2010, approximately 60 EduTechs have been founded in Sydney. While not all successful and still early days, some have achieved impressive growth rates. Smart Sparrow for instance has recently entered US universities, offering their Adaptive eLearning Platform. This is a strong precedent for Australian EduTechs and hopefully the beginning of a strong pipeline. At SVA, we’re excited to see these positive movements and what this might mean for Australian low socioeconomic status (SES) schools. Such technologies have the capacity to break the age old barriers hindering school education. It’s suddenly become possible to deliver personalised learning to every child; the distribution channels of how, what, and when students learn have shifted; and high quality professional development can be delivered to every teacher at a low cost, no matter where they’re teaching. Ideas are now currency and the speed by which they travel is the stuff of films. While Australia’s school education sector is ripe for innovation, it can’t just happen for those that can pay the highest price. The greatest social gains from these tech developments will come from those with the greatest needs. So the question remains: how do we ensure that the schools most in need have access to the best EduTech innovations? 1. Business model problems – Who pays? Generating revenues in high socioeconomic markets can be difficult enough, let alone sourcing revenues from disadvantaged communities. International precedent has shown that cross-subsidised models work best for low SES communities – e.g. providing Freemium models (mix of free and premium content) or cross-subsidising between school budgets and guardians. It’s highly unlikely that an EduTech in SES communities will be able to generate sufficient revenues from one section of the market. The business model is where many entrepreneurs fall short and it requires creative structuring to be sustainable in disadvantaged communities. 2. A funding gap – Once an EduTech start-up graduates beyond the initial seed capital stage, it becomes difficult to raise the next round of capital in Australia. As a result, entrepreneurs look offshore and take their products with them. This gap in Series A capital, however, is closing and more Australian venture capital options are becoming available. 3. Disconnect between programmers and educators – It’s difficult for EduTech start-ups to test their products with end users in classrooms. As a result, EduTech developments struggle to meet the demands of teachers and students. 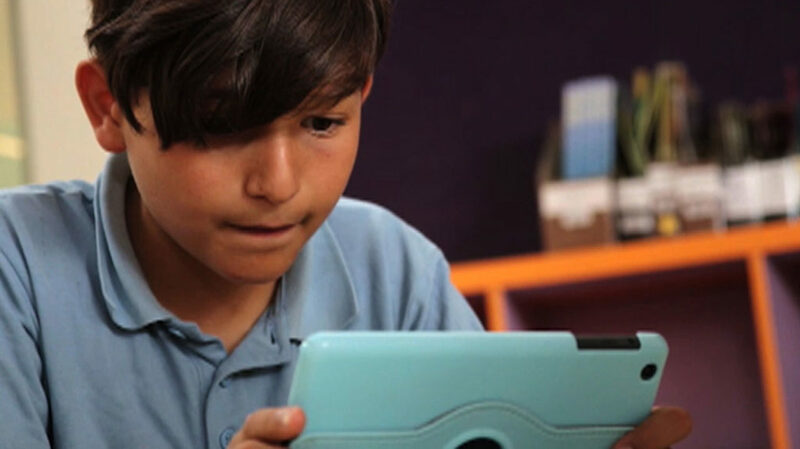 To realise the full potential of EduTech in Australia, programmers need to be better connected to the educators and students they’re creating the products for. It’s an exciting time with enormous opportunity for school education in Australia. Low SES schools are eager to embrace the creative responses to entrenched issues that EduTechs can deliver. Many have already undergone their own innovations, as seen in the SVA Bright Spots Schools Connection. Merrylands East Primary School in Western Sydney is teaching their primary students to code; Silverton PS students in Dandenong are learning audio visual editing by completing assignments in their on-site greenroom and radio studio; and Broadmeadows PS are strengthening their metacognition skills through games-based learning. These schools show that despite challenging circumstances, technological innovation is possible and has real outcomes for students. As school education in Australia continues to advance enabled by technology, we must ensure that the schools that need it most are well represented in this movement.